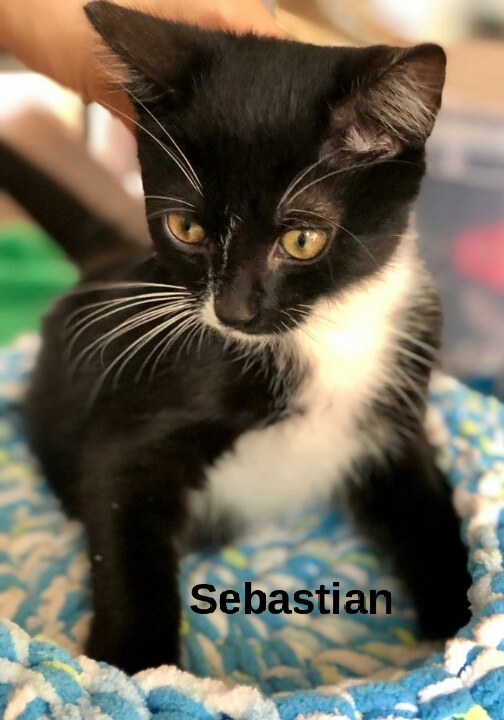 Although he's still a tiny kitten, Sebastian packs a lot of energy and personality into his cuddly little body. 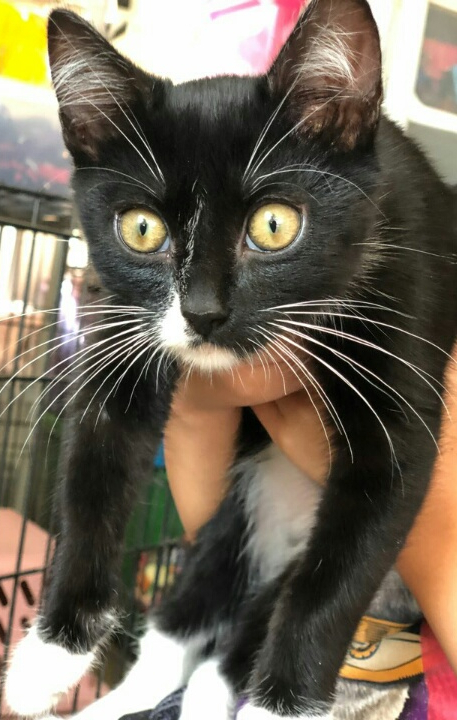 He's friendly, confident, and ready to be adopted. This lucky little boy went from being abandoned and alone into the caring hands of Cinderella. He's very good with children and would make an ideal family pet. 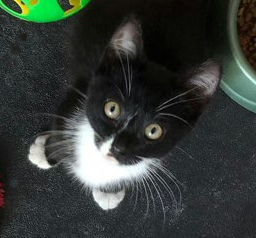 With his little white boots, big, bushy whiskers, and greenish-gold eyes, Sebastian is one handsome little fellow! 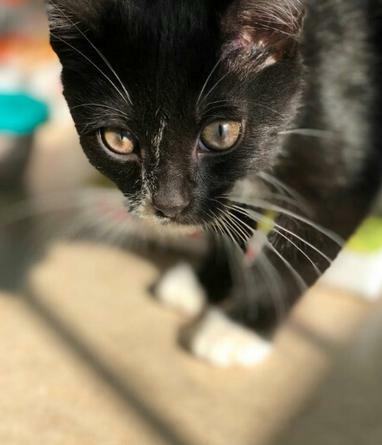 If you've got room in your heart and home for Sebastian, he will reward you with years of entertainment and affection! Call Debby at 956-240-0325 for more information.